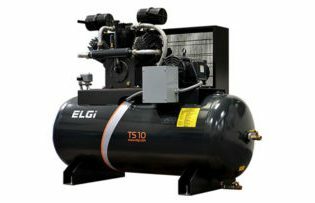 The K series piston compressors have been developed utilizing the innovative push rod principle providing absolutely oil-free compression in an entirely new compact design. The K series has been specifically designed for the smaller compressed air user requiring 100% oil-free compressed air. It is available at an unbeatable cost-effective price/performance ratio! The K series does not use an oil-lubricated crosshead drive. It is therefore ideally suited to sensitive applications where absolutely oil free compressed air is paramount such as in the pharmaceutical and food industries. 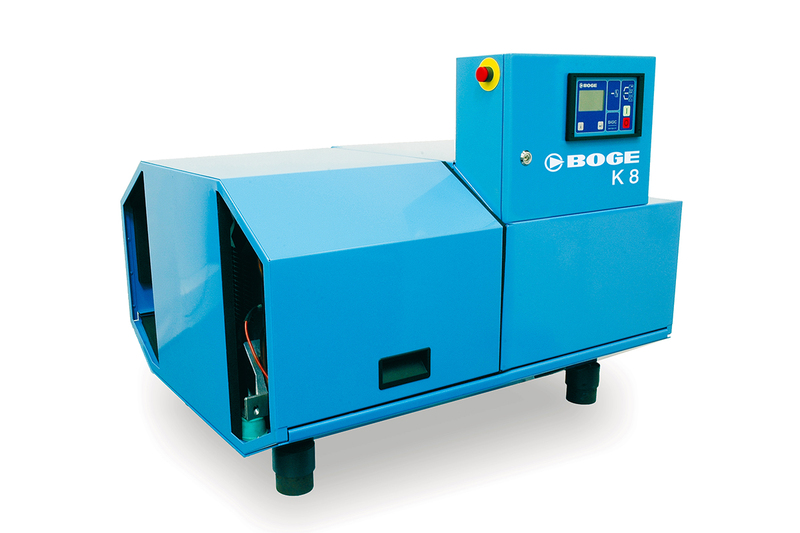 BOGE developed the K series oil-free piston compressor utilizing state-of-the-art compressor technology. The cylinder is mounted horizontally, and a centrally located crankshaft operates a push rod principle, ensuring the piston remains parallel in the cylinder. This innovation vastly reduces cylinder ring wear experienced in all conventional systems. 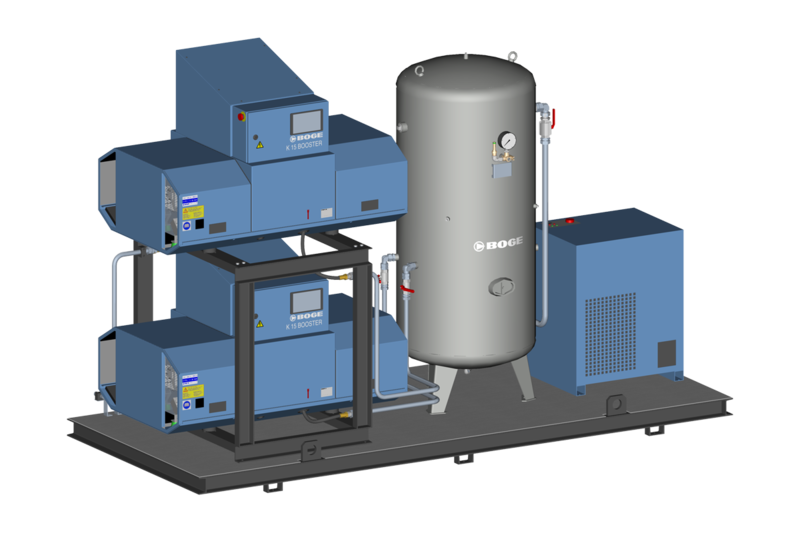 As an oil-free compressor, the requirement for downstream air treatment is significantly reduced –if not eliminated with the K series. Therefore, pressure losses experienced during the treatment process can be minimized or eradicated leading to a noticeable reduction in energy costs. 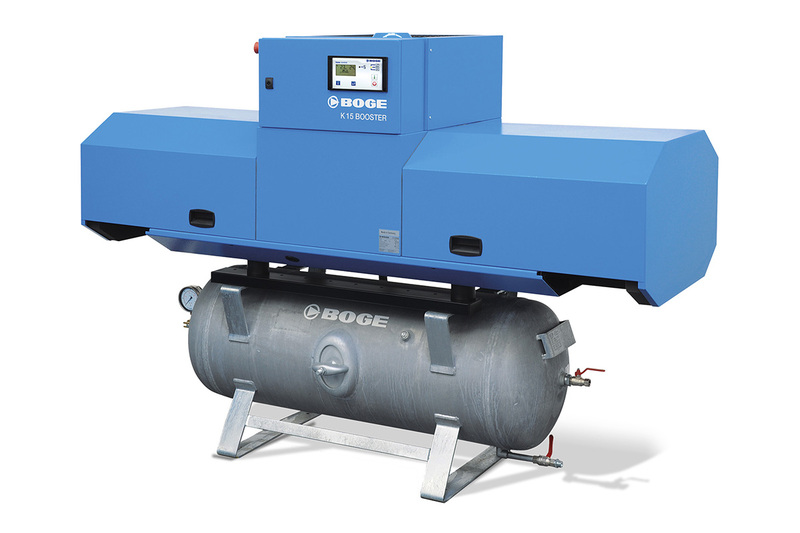 FOCUS is the latest state-of-the-art energy efficient controller to come from BOGE. A large-scale LC display clearly shows error and maintenance messages, operating states, and all operating parameters. 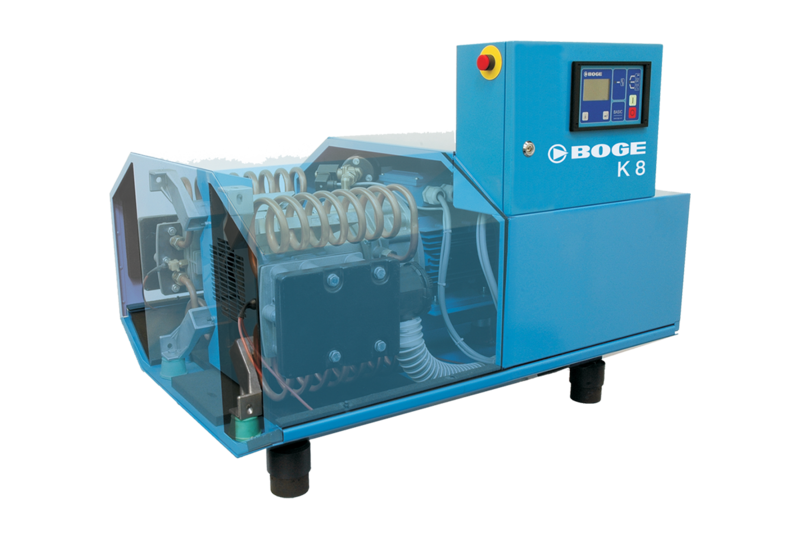 Only the use of BOGE original parts will enable you to benefit from the technological edge of the K-series in the long run. To this purpose, CRU AIR + GAS offers individually customized replacement parts for the K-series guaranteeing 100 percent quality and 100 percent service life. Only such original parts are compatible with the compressors of the K-series for maximum safety during the entire service life period.